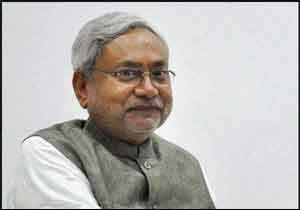 Patna: Chief Minister Nitish Kumar said the state government has resolved to make Bihar rank among the top five states in providing healthcare services. The Bihar government has started the second round of reforms in the healthcare sector, an official release quoted Kumar as saying. Various medical facilities like the treatment of cancer, and liver and kidney transplant are available in the state now, he said. The All India Institute of Medical Sciences, Patna, where only some sections were operational, is now set to provide full-fledged healthcare services. The state government will try to make Patna Medical College and Hospital a hospital of international repute, Kumar said, adding, there is a need to remodel the hospital afresh. Facilities at Nalanda Medical College and Hospital here will be enhanced, the release said. The chief minister said emphasis has also been given to primary health centers (PHCs) to improve healthcare facilities, including the appointment of doctors, para-medical staff and provision for free medicines. According to a government-conducted survey, the number of patients visiting a PHC increased from 1,500-2,000 per month in October 2006 to 10,500 at present, he said. The percentage of institutional delivery has gone up from a meagre four percent to 52 percent, Kumar said, adding, the percentage of regular immunization has also increased to 84 percent from 16 percent. The chief minister today inaugurated and laid foundation stones of 113 various schemes of the state health department worth Rs 866 crore. The health care of the nation or state will be rationalize when the service made available only purely through government agency or through purely private with health insurance to all people, existence of both will not benefit poors as most of the doctors will move towards corporate, this situation was in education and main cause of failure.